Marketing a business – 10 excellent tips! We love this post from accountancy firm www.Bird-luckin.co.uk with some great tips for marketing a business. We offer support, consultancy or delivery on all of the below, call Steve for a no obligation Meetup or chat. Our favourite and sure-fire winner is networking. 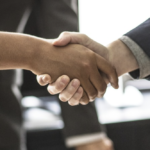 We know not everyone is great at networking and certainly many don’t enjoy it so we offer a hand holding service which means we coach you through do’s and dont’s in realtime, so we attend an event with you and help you represent your organisation. If you take a look on sites like Meetup, Eventbrite, Facebook or in any free local business magazine, you will see that there are many free networking events for businesses like yourselves. These events tend to be well attended and are a great opportunity to meet like-minded business people. While you may not get work out of the first meeting, regular attendance will mean that you are remembered when an opportunity does arise. Just don’t forget your business cards! If you are struggling to get people through the door, offering a free initial consultation can be a great hook to get people in to see you. Once there, it is up to you to demonstrate the reasons why they need you, but chances are that if they have already come in to see you, they have a problem you can solve. Websites are becoming the shop window for most businesses. It is important that your website gives off the right image but also that your customers can actually find it when looking for you. Make sure that you regularly add relevant content full of keywords appropriate to your services. When marketing a business Add your site to all the free online business directories and offer to write guest content for other sites, which include a link back to your own site. Search engine optimisation basics are easy to do in-house and there are plenty of business books out there to help. There are hundreds of business conferences taking place each year and they are always on the lookout for good public speakers to come and present or run workshops during the day. It is a great opportunity when marketing a business and skillset to a captive audience and really demonstrate your knowledge and expertise. Running a free seminar or even webinar is a great way to demonstrate your knowledge to potential clients. You could partner with another local firm offering complimentary services or products to your own and run a joint event, which then gives you the opportunity to market yourselves to each other’s client bases. Publicise on Eventbrite, or get in touch with your local Chamber of Commerce who may also be able to promote the event to their members. It is important that you have a consistent brand image which conveys professionalism and attention to detail. Make sure that your business cards match your stationery, make sure your website matches your email footer and ultimately ensure that they all tie in together to form one brand identity. Don’t have your logo in different colours on different promotional items; ensure you have a corporate style that everyone in your company adheres to. Blogs are a great way of showing the world you are an expert in your chosen field. They are also a great way of attracting people to your website, as they will show up in search engines and bring people looking for solutions to their problems, solutions that you provide. I am not just talking getting out and meeting people face-to-face – although that is vital – social media is a great way of generating leads for your business. Post engaging content and encourage people to join in on discussions. Comment on other professionals posts with helpful advice relating to your product or services. But most importantly, make sure you post several times a week as this is shown to increase the confidence of potential clients in your ability and encourage them to pick you over your competitors. Email newsletters cost nothing to send, although we would recommend using a package such as Mailchimp to make them look professional. They are a great way to keep your clients up to date with new promotions, exciting news or press releases and they allow you to put a voice to your brand. You don’t have to write lots of content and a picture speaks a thousand words. Just be sure to include a catchy title to ensure people click to open your email. Statistics show the best days to send email newsletters are Tuesdays and Thursdays between 12 and 3pm. So a customer has just purchased from you, do you follow this up with a call or email a few days later to make sure the customer is happy? And most importantly do you offer them an exclusive discount if they purchase a related product or service with you now? It is easier to sell to existing customers than it is to find new ones. Plus if they have just received your product or service and they are happy with it, now is a great time to offer them an incentive to buy more from you. You can even extend the offer to their friends and family and encourage them to refer you.